This colourful Reading Nook Four Shelf Storage Unit is an essential for every reading corner. Made from Melamine faced Maple Particle Board it fits into any decor, allowing you to create a unique children’s reading area. 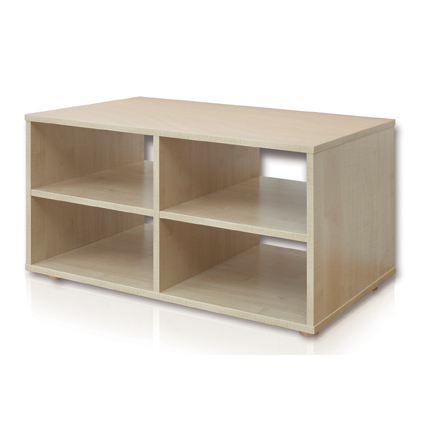 This unit can be moved around with ease to suit your specific space, with the added benefit of plenty of storage it is a must have for any classroom. PVC and foam seating supplied with units – safe and easily wiped clean. Unit can be used alone or as part of a set (unit heights include 30mm for wood feet).